Who Is America’s ONLY Real Ally In The Middle-East? 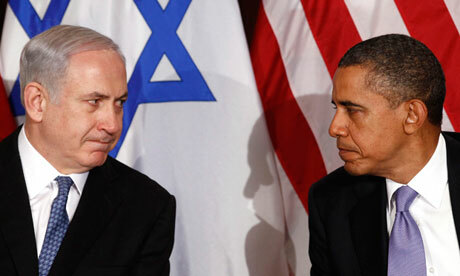 Netanyahu rightly does NOT trust NOR like ObaMarxist. In June, 2008, presidential candidate Barack Obama gave a stirring speech to AIPAC, making strong commitments to the Jewish people and Israel. In December, 2016, President Obama’s Secretary of State John Kerry delivered an important policy speech that directly contradicted some of candidate Obama’s words. The contrast is striking, unnerving, and downright hypocritical. To be fair, there is some consistency between the speeches, as both advocate a two-state solution, among other parallels. And on a certain level, President Obama has kept some of the commitments he made to Israel, including massive defense contracts and military aid. And it is true that, until last week, Obama had not allowed the UN Security Council to pass any anti-Israel resolutions. Still, reading Obama’s 2008 speech in light of the last 8 years is a real shocker. Consider the following. Well, here’s a note from Jerusalem to our Secretary of State and President: You cannot have it both ways. Either Jerusalem is the undivided capital of Israel or it is the divided capital of Israel and Palestine. And if Jerusalem is to be the undivided capital of Israel, then Mr. Kerry has no reason to protest strongly the relocation of our embassy to Jerusalem, which he did this week as well. I have long understood Israel’s quest for peace and need for security. But never more so than during my travels there two years ago. Flying in an [Israeli Defense Forces] helicopter, I saw a narrow and beautiful strip of land nestled against the Mediterranean. On the ground, I met a family who saw their house destroyed by a Katyusha rocket. I spoke to Israeli troops who faced daily threats as they maintained security near the blue line. I talked to people who wanted nothing more simple, or elusive, than a secure future for their children. 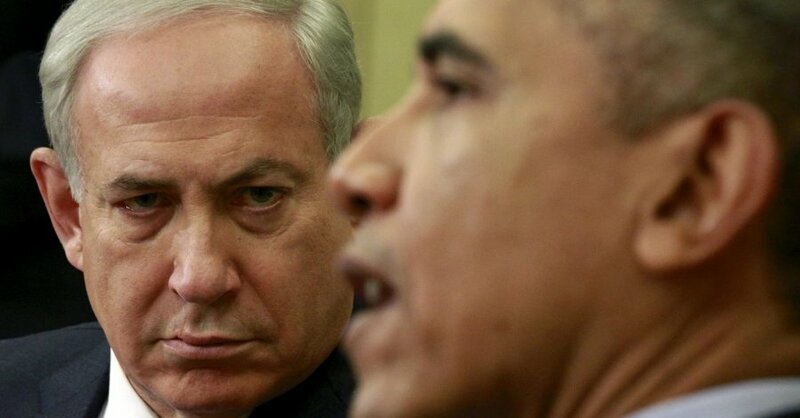 Netanyahu is seething here at BHO’s blather. GOP presidential front-runner Donald Trump on Wednesday refused to pick sides in the conflict between Israel and Palestine. Not since March has Donald Trump, the Republican nominee for president, uttered the word “neutral” in reference to the Israeli-Palestinian conflict, ever since drawing ire from Democrats and Republicans alike for his use of the term. And yet, if undecided, unknowing voters were to explore the GOP candidate’s positions by visiting his website for the first time today – six months later – they would find a video that states he still very much intends to remain a noncommittal arbiter of the decades-old conflict. The big, big, problem of neutrality here? Israel IS Innocent. DAILY Muslims pour rockets and missiles, and conduct homicide bombings into and against Israel by the hundreds. Muslims hided in and behind schools, hospitals, churches, synagogues, and mosques to launch their atrocities. Israel has initiated NO unprovoked attack against ANY Muslim nation or group- NEVER. You can NOT logically, NOR fairly equate the victim to THE ATTACKER. Even if the attacker has always lost EVERY military engagement, the victim is still brutalised. Israel has won every military face-off against every Muslim attacker, yet Israel still suffers many dead, injured and much damage to property. Muslims attack- Israel defends. They are NOT the same thing. To approach “neutrally” is implying both sides have wronged and both sides need to make amends, when that is clearly NOT true. Israel is innocent. DT’s “neutrality” is at best EPIC FAILURE from the start, at worst is masked anti-Israel sentiments, which DT’s most vociferous supporters espouse. And which DT has never renounced. (Claims to not agree with them, never denounces them). Be careful of who you embrace- it may be the hugging of a grizzly.